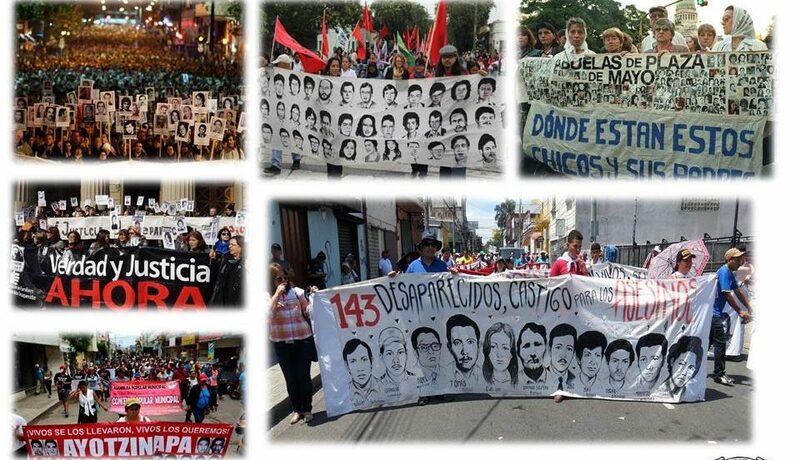 In Guatemala, relatives continue to demand justice for their more than 45,000 disappeared, both in the streets and in the courts; in Argentina, after 41 years, Grandmothers and Mothers of the Plaza de Mayo keep marching, wearing their white handkerchiefs, demanding the right to truth and justice; in Uruguay and Chile, the demands for truth and justice continue, and the people of Chile now fight for the end of jail privileges for the few military officers serving time in the Punta Peuco prison; in Mexico, where one person is disappeared every two hours, the historic demand “they were taken alive, we want them back alive” continues, and the people who continue to walk alongside the families of the 43 students from Ayotzinapa, also demand the appearance of the more than 37,000 people disappeared since the beginning of the US-backed War on Drugs in 2007, and maintain the memory of the more than 70 thousand migrants and refugees disappeared since 2005 as a consequence of US-Border Imperialism strategies; and in Honduras, the Committee of Relatives of the Disappeared, COFADEH, as they carry out work in promotion and defense of human rights, also continues the struggle for theirs detained and disappeared. 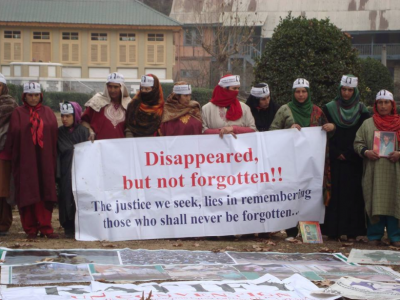 Let us commemorate the love and courage with which our brothers and sisters searched for their loved ones – and the struggle of women in particular – even during the worst moments of the dictatorships and state terrorism, held up photographs of their disappeared and resisted – and continue to resist – oblivion. We uplift these memories of struggle and resistance of the various collectives and movements of relatives of our disappeared throughout Latin America and the Caribbean.